One of the most anticipated fantasy series of the year finally premieres! It's all about teleported magic, virtual reality, and love in Granada, Spain. Yoo Jin-Woo (Hyun Bin) is the CEO of a highly successful investment company with a doctorate in engineering, and interest in game development. 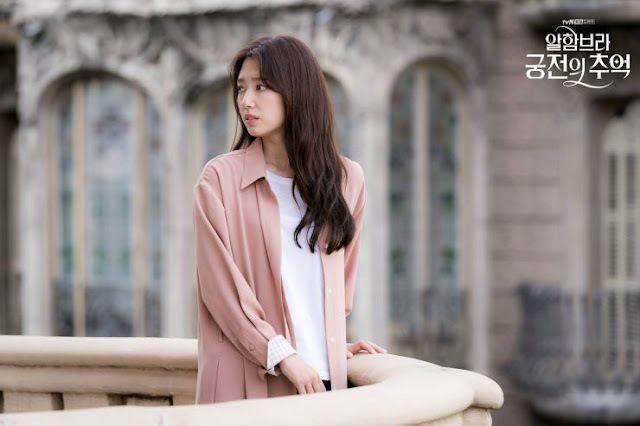 While on a business trip to Barcelona, he receives a mysterious call from a programmer who asks to meet in Granada. 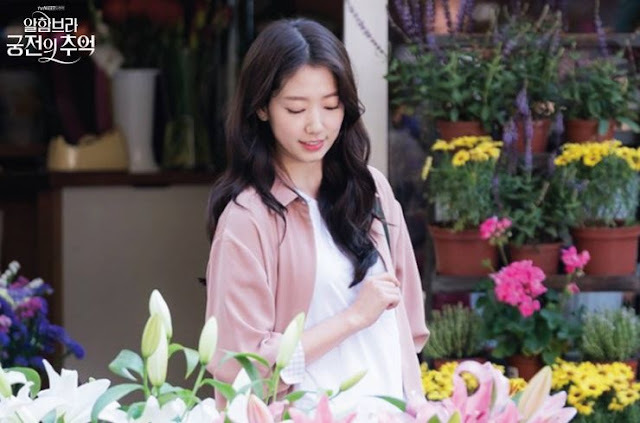 Their meeting point is Hostel Bonita run by Jung Hee-Joo (Park Shin-Hye) who starts off on the wrong foot during her first encounter with Jin-Woo. 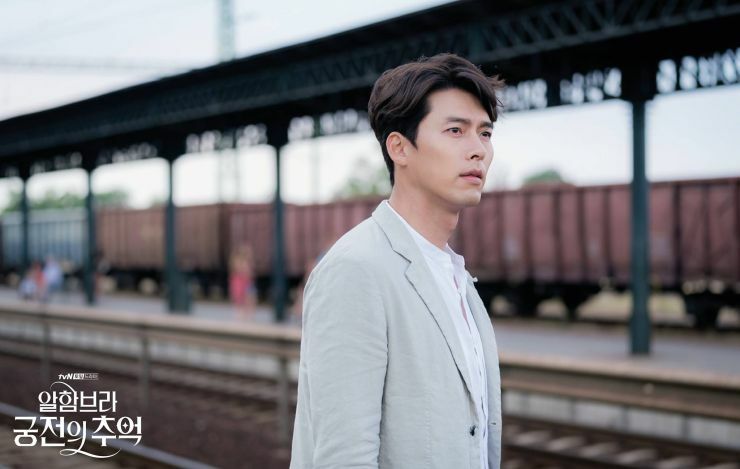 Disregarding Hee-Joo and her lack of financial sense, Jin-Woo becomes enthralled when he experiences the magic of a virtual reality game created by the elusive programmer who never shows up. Taken back to 1492, the game brings the events of the Reconquista to life using state of the art technology. 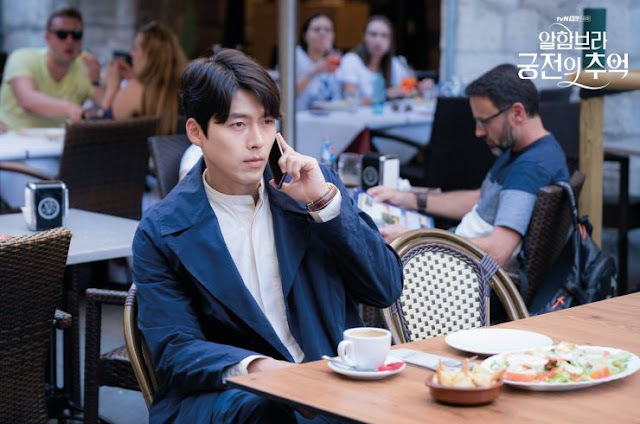 Seeing the potential of the game which is worth trillions of won, Jin-Woo discovers that the genius game creator he wishes to sign a deal with is 17 year-old Jung Se-Joo (Park Chan-Yeol) who is none other than Hee-Joo's younger brother. 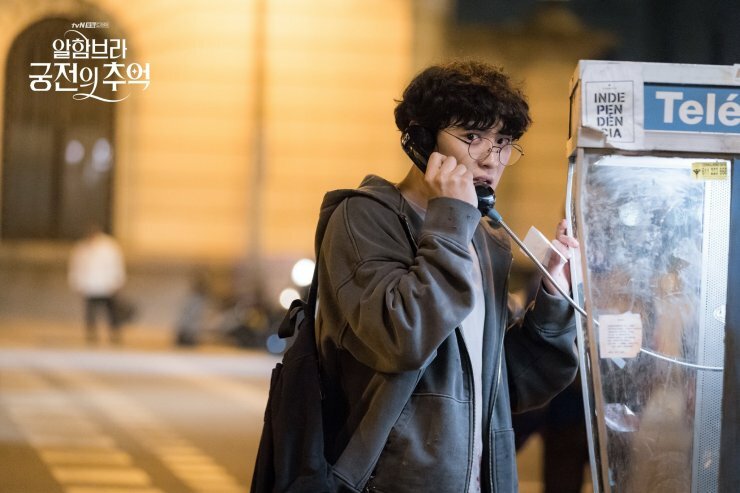 Flabbergasted, Jin-Woo has to convince the clueless Hostel praton to be the signing guardian of a gaming deal that will go down in history and alter the game developing world. What a fantastic premiere and great way to end a drama slump that has been formed over the past two months! Ever since casting news was announced, I've been keeping my eyes peeled and watching this like a hawk, and my hopes were not misplaced! This delivered on a scale I didn't anticipate and met all my expectations. So long wishy-washy shows and feelings of disappointment! 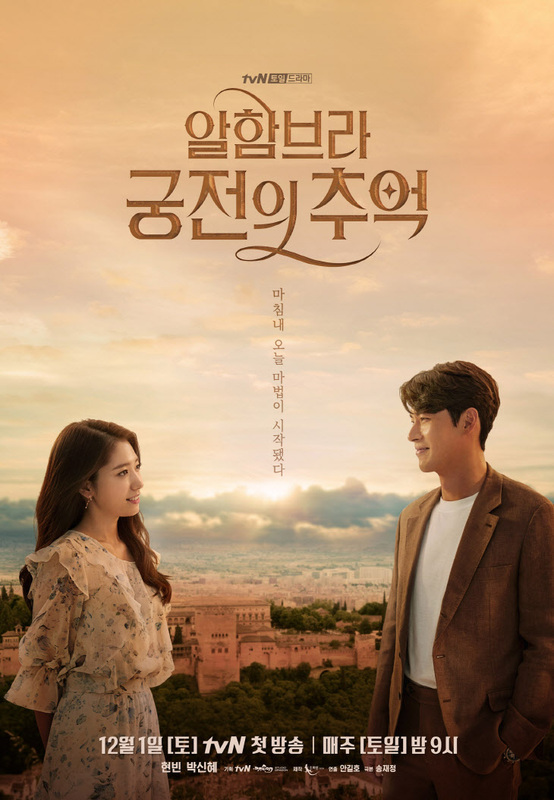 Written by the Writer of W: Two Worlds Collide and directed by the highly praised Ahn Gil-Ho who was behind Forest of Secrets, they're creative processes and capabilities combine nicely to give us Memories of the Alhambra. 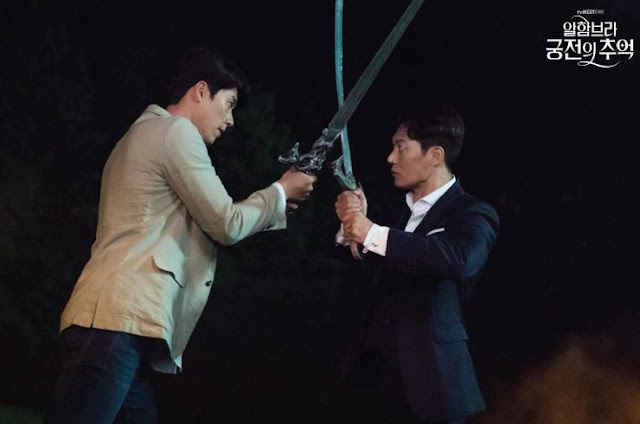 The idea of turning AR (augmented reality) into a genre would make sense coming from the mind of the Scriptwriter who wrote W: Two Worlds Collide since that took the drama world by storm with its comic-world meets reality subject matter. Yet unlike the former, Memories of the Alhambra isn't heavily focused on fated love that turns overly cringy and a plot that became messy in the second half (or at least that's what I can hope for and pray the Writer has read everyone's commentary on it) since the storyline seems highly detailed and hyper-fixated on aspects regarding the drama's AR elements. 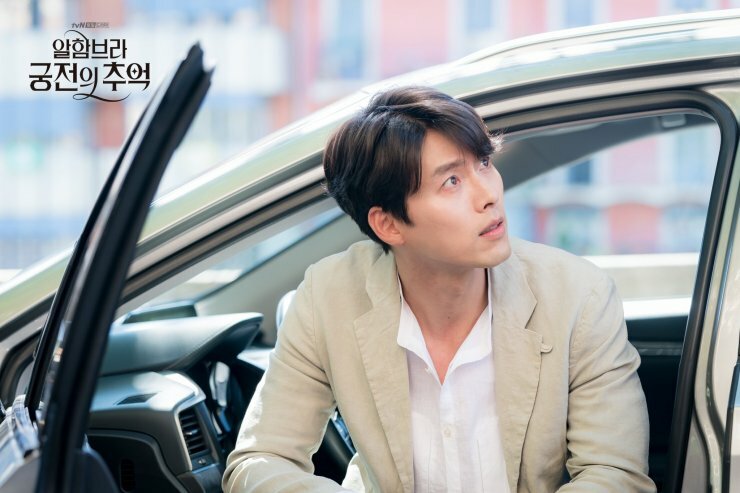 I'm glad this was placed in TvN's hands, because it's nice to see two big names like Hyun Bin and Park Shin-Hye in a cable network series instead of being typecast in a generic drama produced by one of the larger broadcasting networks. The high production quality is reminiscent of Goblin but because this show is reliant on special effects, it goes beyond what we've seen in dramas prior to it. 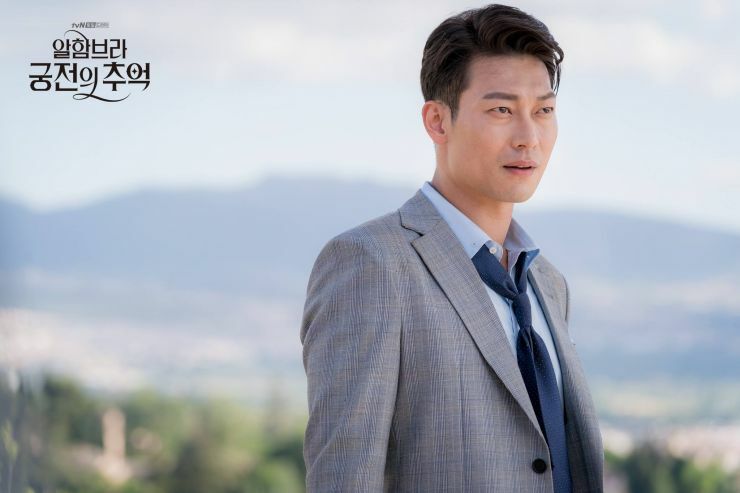 As far as their interactions go, I have no qualms with the acting since the first episode is mainly focused on Jin-Woo's discovery of the incredible game and I thoroughly enjoyed the pacing of the show as it never slows down or lags, giving us a tightly executed premiere. Unlike the few negative comments that have been sacking the series along with other dramas and calling it another 'generic' and 'boring' show, I have to disagree even with my own bias opinions aside. I've never come across a K-drama like this in all the years I've been watching Korean dramas and have to admit that this is one show that will set itself apart with its' integration of genres and distinct tone and setting. Granada historically, is a hybrid of cultures and styles, creating a unique backdrop for such a series to base its foundations and game elements on. Considering the Writer, it'll be exciting to see how the lines of a medieval virtual reality blur with the present to illustrate a fresh story that we've all been thirsting for. 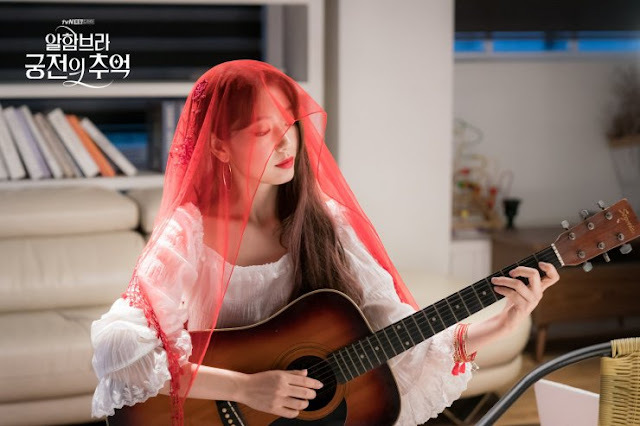 Gaming as a main genre or even as a subsect has never been portrayed in a K-drama before, so we can all expect this to be quite the thrilling ride with plenty of potential and curiosity to peak anyone's interest. If you haven't noticed already, I have nothing but praise for what the drama has accomplished and delivered thus far and can only hope that it maintains its momentum, unique style, and intriguing story to never stagnant and to leave a lasting impression as the year draws to an end. 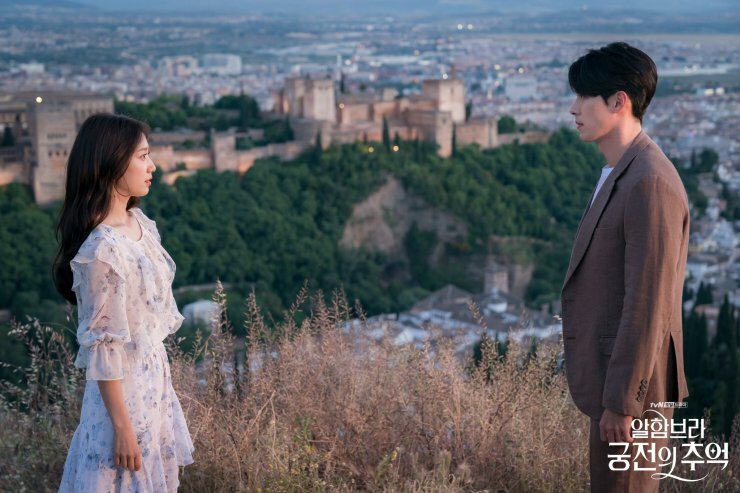 So here's to wishing that Alhambra is more than a magical place to visit, but becomes the milieu of a drama we can all positively love. 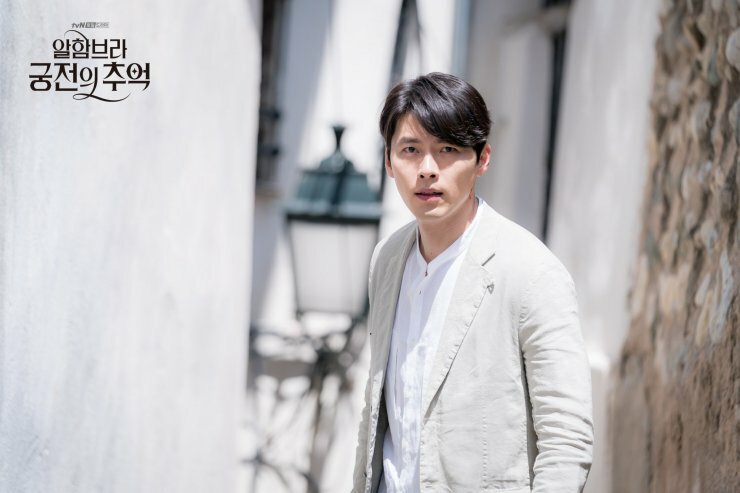 We've all learned to be skeptical about dramas maintaining high quality from beginning to end - but I hope this one does. It was magical. Especially the ending quote "like all fairy tale princesses, she doesn't know she opened her door to a wolf". Or something like that. For his comment I guess, his mentality is limited and his knowledge fair, to spend the day. Thanks for the fantastic review. I definitely want to watch this. It's always good to see Korean dramas try something different. I have a lot of faith in the director but I just hope the writer can sustain the plot as her dramas tend to start fallingaprt in the second half. anyone recognize that it's look like augma device from SAO: Ordinale Scale movie?? It's a movie about an AR game gone wrong... the concept is great, the actors are great...but it seems to me like the director and the writer of this movie doesn't understand a lot about games. in the beginning the movie is quite engaging and the pace is perfect but during the second half the pace got too slow and everything is about levelling up. the storytelling goes back and forth you need to pay a lot of attention for the movie to make sense and storytelling in games aren't usually like this..